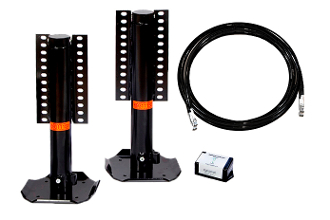 Convert your existing Bigfoot 4 Point 5th Wheel System into a 6 Point System! System includes everything needed to convert your existing system into a 6 Point. This conversion only works if the rear cylinders on your trailer are QEI-16 cylinders.